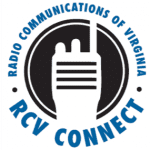 RCV Connect is an all-digital, push-to-talk subscription based radio system designed to make communications simple, fast, safe, and reliable. We are proud to offer one of the most expansive push-to-talk networks in Central Virginia. 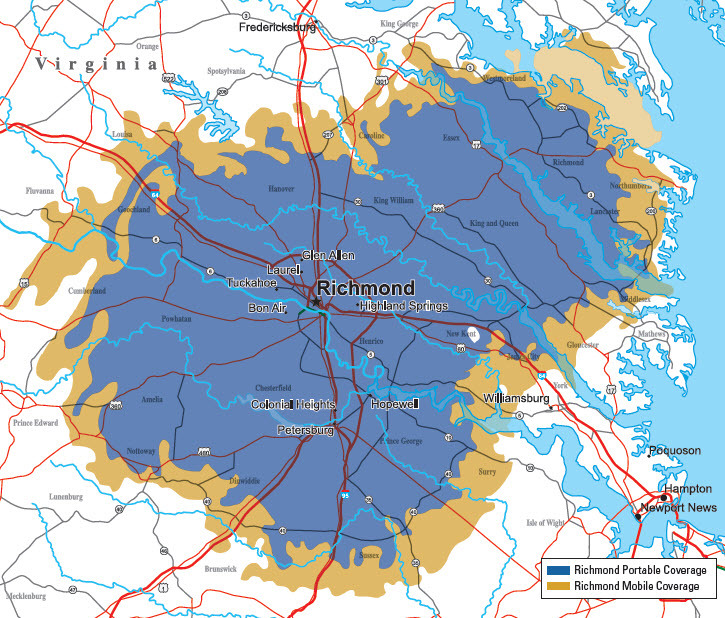 We have four sites, all connected, to provide seamless coverage over the Richmond Metro, Tri-Cities, and Northern Neck areas allowing you to talk further and clearer with your two-way radios. This service provides both voice and text communications as well as GPS tracking that is packaged into a rugged Motorola portable or mobile radio. Bring your own radio or purchase enabled radios directly with us! Implementing and maintaining a large wide-area two-way radio system can be more than your business may want to take on. Leave the system maintenance to us, and purchase your RCV Connect enabled MOTOTRBO radios for affordable wide-area communications throughout Central Virginia. Plans starting at just $4 per month per radio for standby mode! Contact us today for your customized quote! The coverage areas shown represent approximate coverage areas for in-street portable and mobile radios. For all wireless coverage, actual coverage may vary. Please use this map as a reasonable representation of coverage and contact your RCV sales representative today for more information.